The South American country of Ecuador is a land of contrasts and extremes, from some of the world’s tallest mountain peaks to deep rivers and lakes, and from tiny native villages to metropolitan areas that rival any in the world. It is a country that respects its history, honors its natural wonders, and seeks its place as a leader in contemporary Latin America. Our 11-night tour will take us from the urban vibrancy of Ecuador’s capital city to the pristine, raw magnificence of Amazonian rainforests and everything in between. Ecuador also has a small but long-standing and proud Jewish community, and we’ll take the opportunity to share meals and visits. Our Ecuadorian tour will begin in the capital city of Quito, considered the cultural and political hub of the country. It is a city that mixes the sophistication of world-class bankers and CEOs with indígenas dressed in traditional dress and beads. At several points during our tour, we will have the opportunity to visit various parts of the city, from the old town to the modern metropolis. Surrounded by the Andes Mountains, Quito is also the world’s second highest capital. Offering both cosmopolitan and native cultural sights and activities, Quito is the perfect starting and stopping point for a remarkable tour. After our first evening in Quito, it’s time to get out and explore the countryside. Our first stop will be in Otavalo, a two-hour ride from Quito. A visit to the Otavalo market is the perfect way to take in the colorful city and its native culture. It is one of the most visited attractions in all of Ecuador. While the market is at its peak on weekends, we’ll head for the Plaza de Ponchos and explore the tapestries woven by native villagers. Afterward, we will head out to the two notable stops near Quito. The town of Cotachachi is just a few miles from Otavalo, and it is famous for its leatherwear, sold at very reasonable prices. Close to Cotacachi, Cuicocha is the site of a lagoon in an extinct volcano. Known as the Lagoon of the Gods, this crater lake is dotted with islands which are the remains of ancient lava domes. After a day of shopping and gazing at natural wonders, we’ll head back to Otavalo. 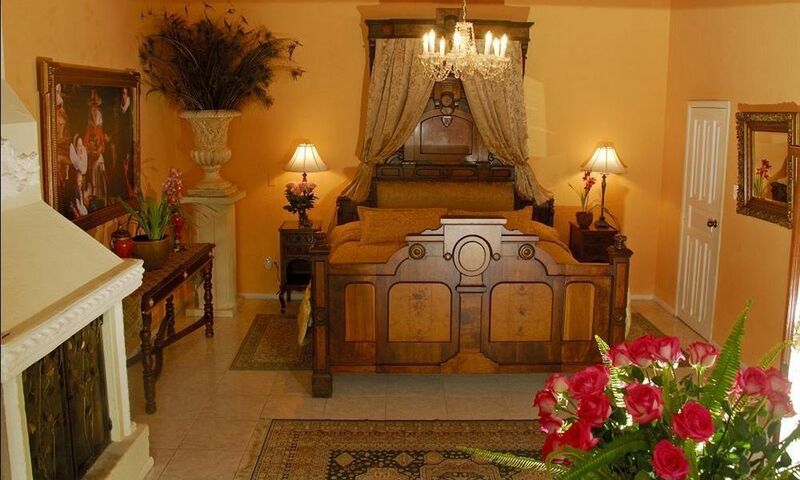 We will end the day at a relaxing Otavalo spa resort. Today we’ll spend additional time in Otavalo before heading back to Quito. There may be time for a stroll to a nearby lake or a peak in local shops. We’ll then have the opportunity to visit some of the more than 75 villages that are found in the area north of Otavalo. Many of them are famed as crafting village, so come prepared to barter for local wares. While in the countryside north of Otavalo, we’ll visit a charming rose plantation. The volcanic earth of the High Valley near Otavalo and the mild climate make for one of the world’s most fertile growing environment for roses. Ecuador is one of the largest rose producers. Its rose plantations are marvels both for the beauty of what they produce and the efficiency with which the roses are grown and prepared for shipping all over the globe. On this Shabbat day, we’ll spend some quiet time in Quito, where we can take walks in nearby locales for further exploration and enjoy a Shabbat meal. Today we’ll start with a visit to Quito’s Metropolitan District, where we’ll visit one of the many local markets that dot its streets. Quito’s market history dates to pre-Inca times, and the selling of native wares remains lively today. When we’ve shopped the morning away, we’ll head to Cotopaxi National Park for a different type of sight-seeing. The park’s centerpiece is the Cotopaxi Volcano, whose snowy peak rises almost four miles above the landscape below. The park is also notable for its wildlife, which includes condors, pumas, llamas, and Andean Speckled Bear. After a full afternoon of exploration, we’ll return to Quito for overnight accommodations. Today we’ll transfer out from Quito and take a flight to Coca for the next leg of our adventure – a true jungle experience. For the next four days, we’ll be immersed in jungle activities in the wildest, most exciting region of Ecuador – the rainforests of the Amazon. Our tour will begin with a forty-five minute flight to Coca from Quito. 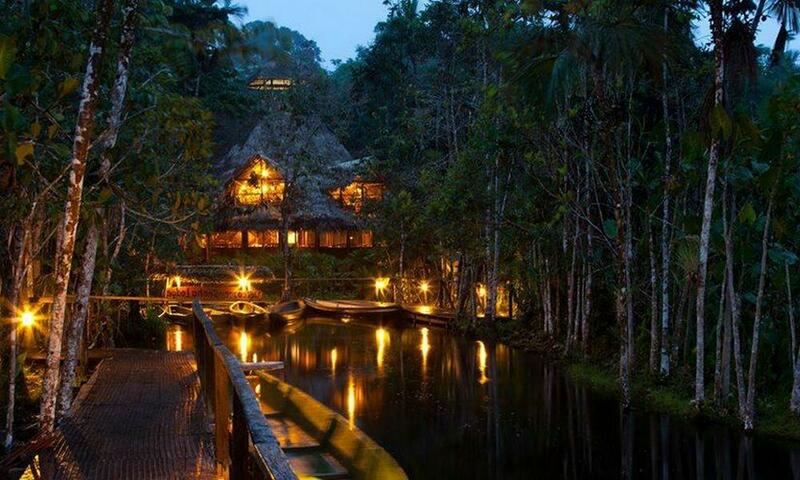 From there, we’ll travel to a jungle lodge, our base of operations for the next four days. While the itinerary will vary from day to day, it will include such activities as: hiking along the Napo River, bird-watching, taking canoe rides, searching for capuchin monkeys on the Lagartococha trail, piranha fishing, having picnics under spreading kapok trees, and enjoying sunsets from a perch 120 feet above the floor of the rainforest. 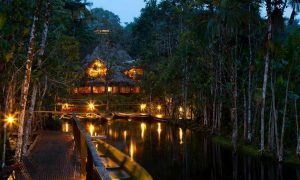 After days of jungle exploration, we’ll have dinner and spend our nights in cabins in the unique lodge, which is located in a 5000-acre private reserve in the Amazon. This rainforest sanctuary will be our home base throughout our Amazon experience. Today we’ll make a transfer back to Quito. 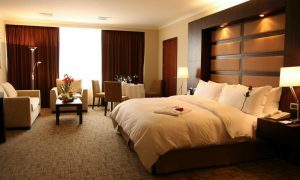 Upon our arrival, we’ll return to our luxury accommodations and prepare for a last tour of the city. Today, we’ll have time to visit several Quito attractions. We’ll begin with a visit to the Teleferico Quito, the world’s fourth highest cable car. Starting in the heart of the city, the cable car rises to the top of Pichincha Volcano. The ride is short, but the views are endless. Next, we’ll visit the Equatorial Monument, also known as the Middle of the World. This landmark marks the literal middle of the world at latitude 00 0’ 0”. The French Geodesic Mission first notated this spot in the 18th century, and an obelisk stands today at this location. After our tour, we’ll have a kosher lunch and mingle in the Jewish community. Quito is home to about 700 Jews, and the centerpiece of Jewish life in the capital city is the Sede de la Comunidad Judia del Ecuador, or the Jewish Community Center of Ecuador. The architecture of this lavish facility evokes classic Jerusalem buildings. We’ll spend the last full day of the tour in Quito, observing Shabbat. Today we’ll make our transfers out of Quito, as we head home from the South American adventure of a lifetime. Includes air fare from: New York or Miami.